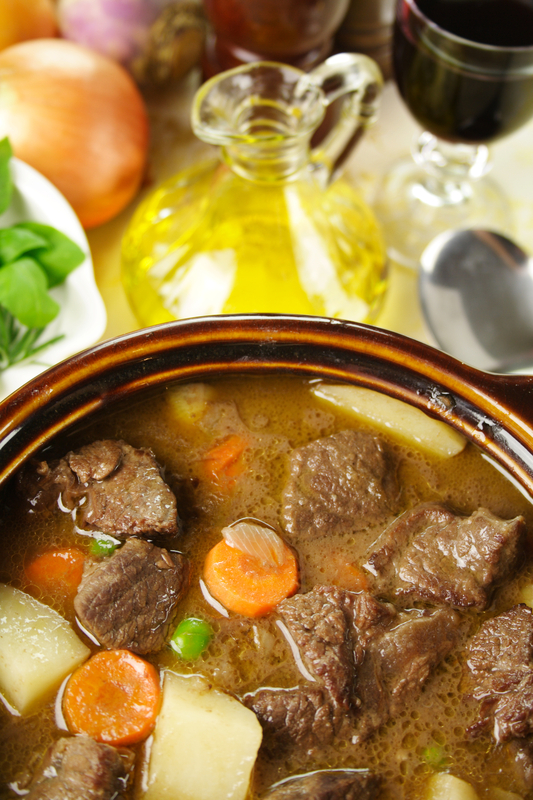 Score points with these soup, stew and chowder recipes that aren’t too tough to tackle. Cut beef into 1/4-inch strips; cut strips into 1-inch pieces. Heat oil in stockpot or Dutch oven over medium-high heat. Cook beef in oil 4-5 minutes or until brown. Add onion and garlic. Cook for 2 minutes, stirring frequently. Stir in remaining ingredients. Heat to boiling. Reduce heat to low. Cover and simmer for 30 minutes, or until meat and vegetables are tender, stirring occasionally. Serves 6. Published on January 3, 2017 in Soups.